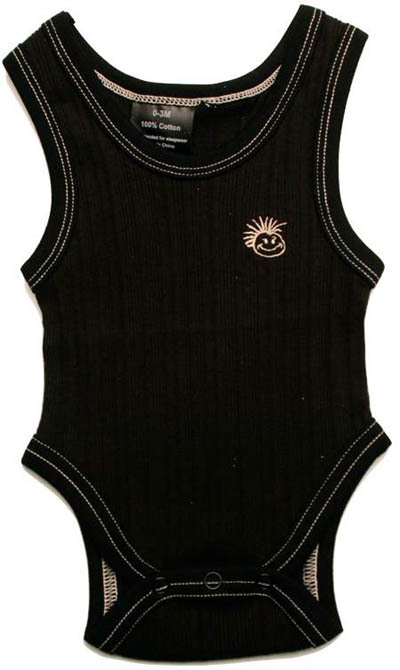 Picture your cool dude in this one-piece "beater" outfit. Ribbed knit, 100% pre-washed cotton. Also comes in brown.